The Secretarial withdrawal—and the legislation to permanently protect the Scenic and Recreational segments of the Chetco from mining—were driven by proposals to mine almost half the river’s length with dredges weighing up to one ton for ten years. Now that the area has been segregated from mineral entry any mining on your claims, within the segregated area, must be authorized by an approved plan of operation. Before a plan of operations can be approved it must be verified that the discovery of a valuable mineral deposit had been made on your ... mining claim ... thereby establishing that you have a valid existing right to mine. See Rogue River-Siskiyou National Forest Press Release here. According to a Rogue River-Siskiyou National Forest “talking points” memo, there were 12 existing mining claims in the withdrawal area at the time the Federal Register Notice was published, removing the lands from operation of the mining law. The memo notes that there were also 9 existing proposed mining plans of operation. It further says the Forest Service expected that each of the 12 claims would require valid existing rights determinations. A recent check of BLM’s LR2000 mining claim recordation data base reveals that there are only two mining claims remaining on the Wild and Scenic Chetco River. 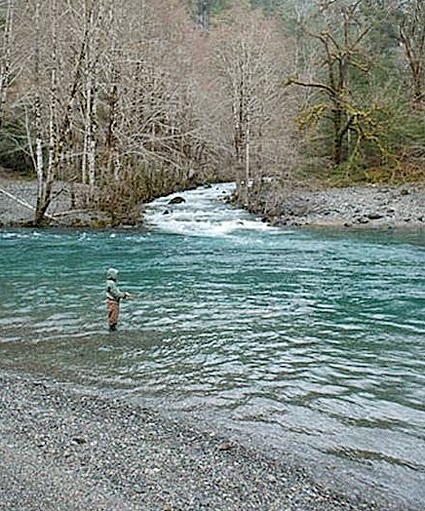 In September of 2011, approximately 15 miles (6 claims) were forfeited by Chetco River Mining and Exploration. If the area had not been withdrawn a few months before, the claimant or others could have rushed to located new mining claims in the area. The August 1, 2011 temporary withdrawal prevented this. Later, other claimants abandoned claims because there was so little likelihood of their being a valuable mineral deposit in the river. To date—no valid existing rights determinations have been required a cost savings for the taxpayer. The withdrawal also saved the public at least $350,000—the estimated cost of analyzing six of the proposed plans of operation on the forfeited claims. Upon completion of analysis of the proposed withdrawal and opportunity for public participation, a Public Land Order for a five year withdrawal was signed on July 26, 2013. 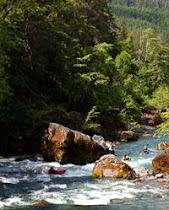 While legislation to withdraw 17 miles of the Chetco River still has a long way to go before becoming law and permanent, the Secretary of Interior's temporary administrative withdrawal for the river under Federal Land Policy and Management Act, has proven extremely successful. It has both prevented the mining of this world class salmon and steelhead river and saved the taxpayer money.